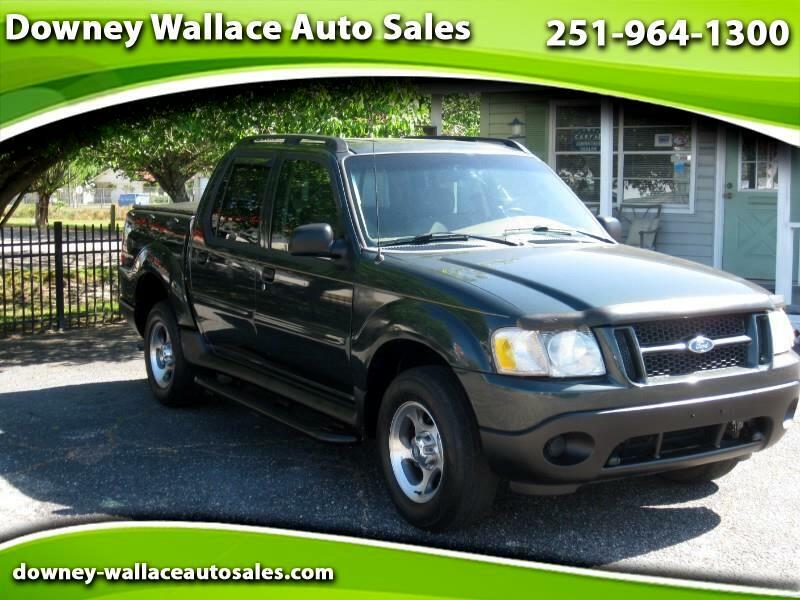 This is the 2004 Ford Sport Trac. Still unusual, if no longer unique, the Ford Explorer Sport Trac combines the interior room and comfort of a mid-size SUV with the open-air, haul-anything capability of a mid-size pickup truck. You might think of it as three-quarters of a Chevy Avalanche for about two-thirds the price. Sport Trac is an SUV with a pickup bed. It has an outdoorsman's interior designed for easy cleaning and a bed made of a nearly impervious composite material. Yet it can carry a family of five in the comfort of a well-equipped Ford Explorer. As its name implies, the Explorer Sport Trac is based on the Ford Explorer. The Carfax shows NO reported accidents and no issues. The mileage is exceptionally low! The national average is 15,000 miles per year and based on those numbers it should have over 200,000 miles yet it still under 100,000 miles! How great is that?! If you are in need of a great utility, outdoorsy, all around great vehicle then you need to come check this out. The Sport Trac is perfect for the beach, ballpark or for work. Rush on over today because we never keep a Ford Sport Trac for very long!